For a gala tasting with friends TRR and Don K to discuss wine collecting and cellar management planning, and purchasing strategies, I chose half bottles for a more extensive tasting. 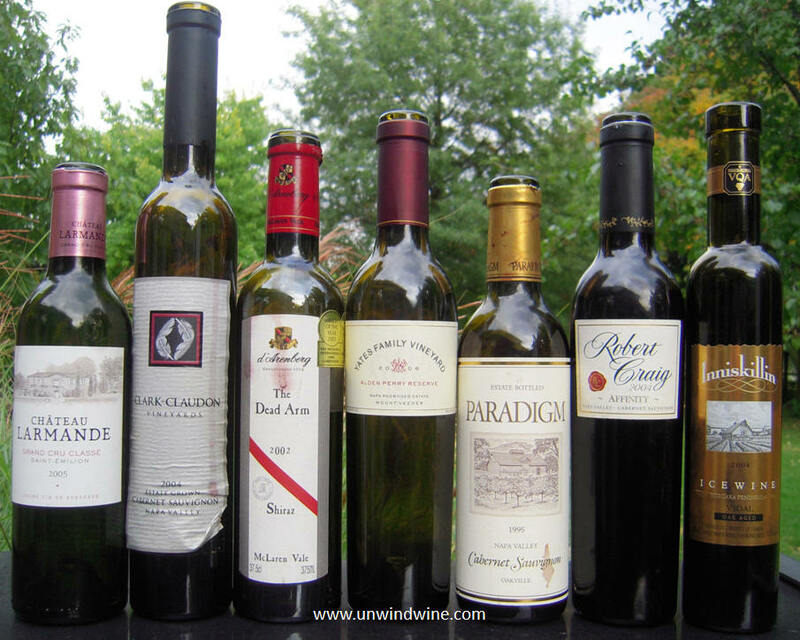 While the fun of big bottles is evident, its not as widely known or practiced that opening half size bottles offers twice the number of tasting experience options in the same setting. Opening small format bottles this evening allowed us to taste seven different wines instead of perhaps three had we opened regular or standard size bottles. This allowed a Napa Cabernet tasting as well as a comparison against a similar vintage Bordeaux and a Australian Shiraz, and a Ice Wine too. It also allowed a comparison of a selection of Napa Valley appellations' terrior and style - Oakville, Mt.Veeder, Howell Mtn, against a blend of those locations, and a Bordeaux blend. As we most often do, we enjoyed these wines BYOB over dinner at our local neighborhood bistro Angeli's Italian. The big reds were spectacular with their Butternut Squash Gnochi in rich sweet brown sugar and vanilla sauce, and my favorite dish, and off-menu preparation of veal in a rich blue cheese brown sauce on angel hair pasta. Prior to the red tasting we did an initial tasting at home of artisan cheeses with Cliff Lede Napa Valley Sauvignon Blanc 2007, then a small grilled flank steak taster against the Clark-Claudon and Larmande reds . This may be my favorite Sauvignon Blanc. A staple to keep for any wine tasting as a tasty starter, transition wine between courses, or by itself with salad, fruit and cheese or a seafood, light pasta or veggie dish. While a bit more pricey than average, it stands up against classic Sauvignons costing twice as much. 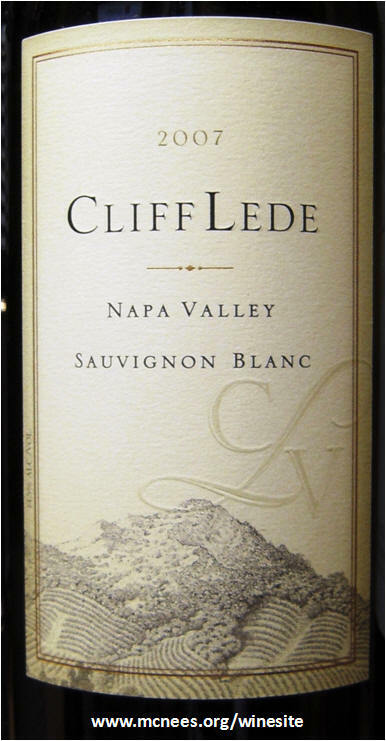 We visited Cliff Lede and did a magnificent tasting there during our Napa Wine Experience 2009. Lemon colored, medium bodied, nicely balanced acidity, subtle oak, citrus and remarkable peach fruit flavor that turns to lemon with hints of mango, passion fruit and tangerine on the finish. Fabulous complement to lobster with a dash of lemon butter. starter. First tasted at the winery - got some at home - a staple white for the cellar. Deep dark purple - full bodied - explosive aromas of ripe dark berry fruits, big mouth-full of forward complex but polished spicy black and edge of red berry fruits, violets, layers of mocha and oak with a long lingering tannin finish. The 2004 Napa growing season was condensed with early bud break, warm days, cool nights and one challenging heat spike. The result was a small harvest of intense, flavor packed fruit from an unusual, but exceptional year that is showing and drinking well and should last another decade. 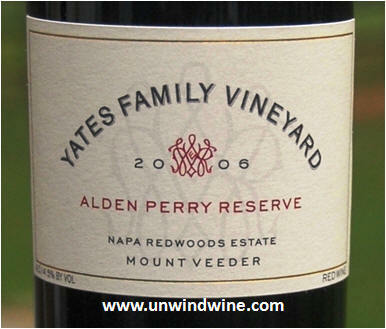 This was discovered and acquired during our Napa Valley Mt Veeder Appellaton Experience 2011. A bit of acid heat initially that soon wears off to a pleasant smooth drinking wine. Deep garnet color - full bodied bursting with complex layers of rich forward black currant, blackberry, ripe sweet black raspberry fruits, tones of cinnamon spice, anise and hints of floral, sweet oak, white pepper and tobacco leaf, finishing with moderate smooth tannins on a rich full finish. This wine was tasted and acquired during the same Napa Valley Wine Experience 1999 as the Clark Claudon above. Fragrant, soft supple tannin, medium body, the layers of cherry and black currant fruit are being overtaken by earthy leather, licorice, and herbs, with under-currants of spice and cedar. Château Larmande produces about 9000 cases per year and is known for consistent quality and generally a good value. The estate is planted predominantly in Merlot covering 60% of the vineyard, with 30% Cabernet Franc and just 5% Cabernet Sauvignon making up the balance. The 2005 vintage was above average and produced a wine that is already approachable but should last another ten to fifteen years. Bottles are recognizable by the unique lavender colored foil. Medium bodied, full aromas of floral perfume, moderately complex flavors of red berry and plum fruits accented by subtle spice and hints of cherry-cranberry, nice texture and smooth moderate tannins round out the finish. Dead Arm refers to the (one armed) vines that when afflicted in the early days of the last century were spared from being turned under and emerged to produce highly concentrated fruit from the single remaining arm that survived after the loss of the other side of the vine. Typically a big fruit forward complex wine, the 2002 was a bit more subdued and muted than its normal big forwardness but what was an off-tone of minerality. Lacking that uber ripe almost raisin-fig with a layer of cedar predominating, this still held that complex black berry fruits with tones of pepper, spice, and cassis and hint of vanilla with a big long bold finish that has a slight tone of tangy cherry. Linda likes this ripe boldness but its a bit too much to my liking it needs to be tasted with hearty meats, even bar-b-que, or artisan cheeses, such as tonight when it complemented the beef tenderloin, marinated pork tenderloin and then the course of dark chocolate deserts. We visited this classic Ice Wine producer during our visit to the Niagara-on-the-Lake isthmus nestled between Buffalo, NY and Toronto. The fruit was a bit more muted and subdued than earlier tastings with it giving way to a layer of smoke and wood. Aromas of apple blossoms, apricot with hint of cinnamon-raison bread. On the palate, this beautifully rich dessert wine follows through nicely with mix of apricot, mango and a strong honeyed fig component. The overall finish has good length with tantalizing flashes of exotic fruit and spice.